We’d love your help. Let us know what’s wrong with this preview of Blade Runner by Don Shay. 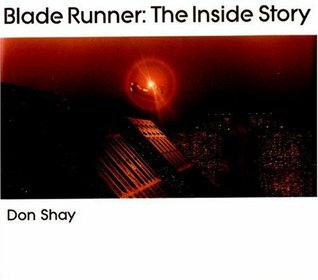 This is a comprehensive examination of Blade Runner's highly influential special effects which contains numerous images, and in-depth interviews witth Ridley Scott and the designer Syd Mead. 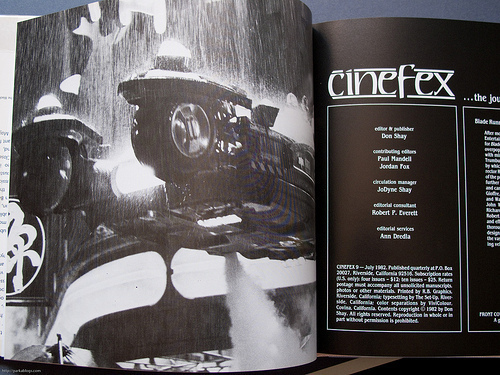 The content of this book was originally published in July 1982 as Cinefex issue 9, which is out of print. This is a hardcover reprint by Titan Books in 2003. This book is on how the Blade Runner was made. If you don't already know, the Blade Runner movie was re-released in 2007 as a 5-disc DVD collection — there's Blu-ray as well. I'm not sure if there are any duplication in content here compared to the discs since I don't have them.